With more features, more advanced technology the ILX 2016 goes on sale as the sports sedan with the performance, technology and style the younger customers wants! 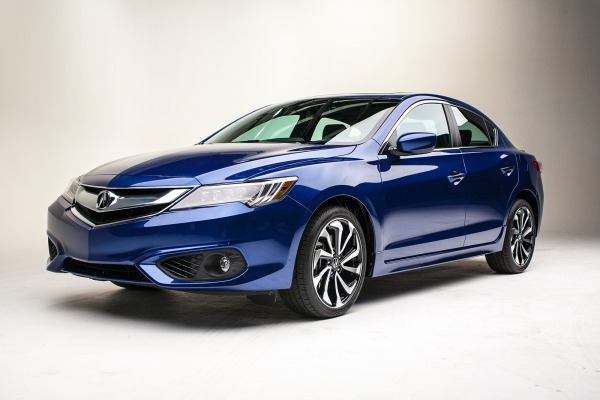 The new i-VTEC engine with direct injection DOHC 2.4-liter and 16-valve, the ILX reaches a maximum power of 201 horsepower at 6,800 rpm and 180 lb.-ft of torque at 3,600 rpm, an increase of 51 horsepower and 40 lb.-ft. Compared to the power of the 2.0-liter engine. The new engine is mated to a new dual-clutch transmission with eight speeds (8DCT) with a torque converter and Sequential Sports Shift controlled by buttons on the steering wheel. The new 8DCT is the most advanced transmission in its competitive set and allows a speed changes incredibly fast, defined and intuitive, including leveling speed to slow down and getting a magnificent response and sporty performance with fuel efficiency is achieved which is the best in its class. The ILX features Jewel Eye LED headlights, new wheels 18-inches, available in A-SPEC Package. The ILX 2016 package A-SPEC has a cockpit with a black interior color scheme that includes exclusive premium interior trim satin black roof, perforated black Lux Suede on the seat, instrument lighting in red, exclusive gray interior stitching and brake pedals and aluminum acceleration. In addition to all that the ILX 2016 has Bluetooth HandsFreeLink, Smart Entry/Push-Button Start keyless access system, one-touch turn signals, GPS-linked automatic climate control and LED accent lighting. A 7-inch On Demand Multi-Use Display™ (ODMD) touch screen (Premium and Tech Plus. Also features the next generation of AcuraLink, Acura’s cloud-based, SiriEyes Free is standard on Premium and above. And Acura Navigation System with 3D visualization, which has AcuraLink Real-Time Traffic, with Traffic Rerouting. The category AcuraWatch Technology Plus and adds Acura Navigation Integrated Multi-Information Display (MID) in color between the tachometer and speedometer and premium audio system Acura / ELS Studio® with the latest generation of connected vehicle technology AcuraLink. The ILX 2016 is now available with AcuraWatch suite with the most advanced system of its kind in this competitive set. AcuraWatch includes Adaptive Cruise Control system, Lane Keeping Assist System, a Multi-View Rear Camera with Dynamic Guidelines, as well as Road Departure Mitigation and a Collision Mitigation Braking System™ (including Forward Collision Warning) with sensor fusion technology that enables new capabilities, including pedestrian sensing. It is equipped with body structure Advanced Compatibility Engineering (ACE ) next generation of Acura and is designed to achieve the highest scores in safety. The customers can choose between three main categories – the ILX standard, the ILX with Premium Package and the ILX that tops the range with the Technology Plus Package, supplemented with the addition of AcuraWatch Plus packages and A- SPEC, all brand new.